CareSoft was developed to support the inner workings of Group Homes and Adult Residential Facilities (ARF). Our Group Home software eliminates all of the cumbersome paperwork, clutter, and high overhead expenses. Your staff can easily fill out Progress Notes, Incident Reports, PNI(Budgeting Funds), Task Analysis, and Medication Logs from any computer, tablet, or smartphone. We also provide an area where you can upload and store your scanned documents to the cloud for safe keeping. Our Group Home software was specifically designed to assist agencies that work with developmentally disabled individuals and we have over fourteen years of experience working with group homes. office located right at your fingertips through your smartphone. from any time period you choose. 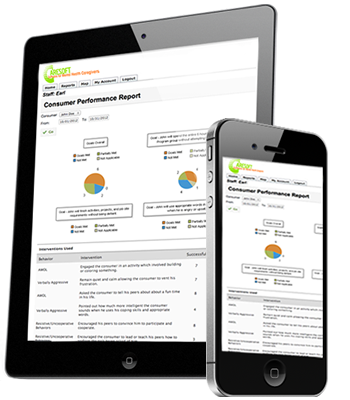 Imagine being able to generate your Individuals’ Quarterly Report with the easy click of a button. Imagine easily inspecting that your staff has completed their daily paperwork on time and correctly. CareSoft provides all of these benefits at minimal cost.